Living a life of purpose. Sounds abstract though, doesn’t it? Sounds like a grand plan. Something that we hear other people talking about, other people doing something about, other people being good at. And that’s what makes it so abstract. All you need to know is a shortcut to getting there. There are many shortcuts for achieving success. 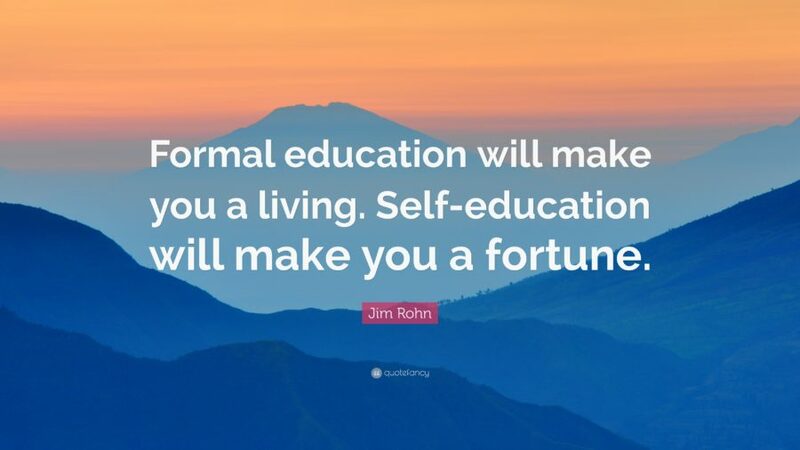 They will depend on what age you are, what you are currently doing in your life, your mindset (either can-do or cannot-do), the many requirements needed to get good in your education or your career. But there is one shortcut that you can use, regardless of which situation you find yourself in. It’s this: Help yourself by helping others. In his book Tools of Titans, Tim Ferriss writes about an excellent idea he calls the canvas strategy, which is a detailed description of what helping others can entail. Why is it called the canvas strategy? He compares a focused approach to life to an artist’s canvas on which he or she paints. He says: He who clears the path controls its direction, like canvas shapes the painting. So the initial goal is to clear the path. Which, in turn, means helping others. And that, in the long run, means helping ourselves. How do you help yourself by helping others? Here are 7 specific strategies to get started. Strategy 1. Get your ego out of the way. Instead of thinking how to do things only to make you look good, don’t think of yourself as so important. Being humble goes a long way. Look around you and observe the show-offs, the big talkers, the ego-driven conversations (“I did this.. and then I bought this.. and then I traveled here… and there…”). There’s a reason most people don’t like their company and don’t befriend these types of people. It’s because they’re only focused on themselves any nobody else. Talking to them isn’t really being in a conversation; it’s listening to someone drone on and on, without understanding the context and purpose of communication. In other words, they’re missing the point. If you just understand this, you’re at an advantage. Strategy 2. Say little, do much. Again, instead of talking and describing and giving empty promises of how things will be great once you finish them, keep those thoughts to yourself. There’s incredible power in being silent and commanding presence. And there’s even more power in getting things done, without much noise. You can focus better, conserve your energy, and finish work sooner when you’re not talking and doing things at the same time. That type of multitasking doesn’t amount to much. Remember: it’s really true—actions speak louder than words. They mean much more, not just in this moment right now, but they have lasting power and make a positive difference over time. Strategy 3. Do things anonymously and not for credit. It’s not always all about getting kudos for your efforts. It’s good to keep a low profile and help out when you can so that others can benefit. Think of skills you possess and what you are good at. Do you consider yourself knowledgeable or even a subject matter expert? Maybe you can offer some advice online to someone who’s struggling to learn something that’s difficult for them. Is there an organization in your community that is focused on helping those less fortunate than yourself? You can volunteer and help prepare meals for people who are hungry, or you can put together medicine or food supplies to ship out to countries that need them. There are many, many opportunities to add value to others; all you have to do is start looking for them and asking a simple question: How can I help? Strategy 4. Come up with ideas, and give them to someone else. Your brain is a powerful tool that you can use to help others solve problems in unique ways they haven’t thought of before. It can be coming up with solutions to help projects along, then sharing that list with your boss. Chances are they didn’t think of the problem in the way that is unique to your point of view. Or it might be brainstorming an outline of a lesson plan that you can talk through with your friend, schoolmate, or partner who is having a hard time staying on top of their schedule and responsibilities. When you do, you are helping them come up with a better strategy to improve their education or career. Strategy 5. Find people who are original thinkers, creative minds, and problem solvers, then introduce them to each other. This strategy is powerful because you have the ability to make connections and create social networks that can be beneficial to many more people. When you connect like-minded individuals, you create a powerful energy field. It’s wonderful to start a new friendship and open the door to conversations that are constructive and can produce new ideas. You can do this online on a forum such as Quora, or a site such as LinkedIn, or just invite a couple of people to a coffee shop and make an informal introduction. Remember, it’s your unique idea of putting people together that can change their lives as well and improve them in many ways! Strategy 6. Find what no one else wants to do, then do it. It doesn’t even have to mean it’s a terrible or really hard job or task. Usually avoiding work stems from one of two reasons: people don’t have the time or else they don’t know how to do something. Here’s where you can add value. If it’s something your co-workers are avoiding because it’s time-consuming (creating a project roadmap, organizing folders and documents, creating a resource to address troubleshooting common issues), you can step in and offer a new solution when you’re in between projects. And if someone you know is struggling to understand a topic that you know a lot about, you can coach them through it and explain it in a way that’s easier to understand than just reading a textbook or getting lost in endless Google searches. Strategy 7. Identify gaps, inefficiencies, and wasted resources, then address them and find more productive solutions. There’s so much time that is wasted by sorting through disorganized notes, projects, emails, and online folders where everyone keeps records of what they’re doing. Sometimes there’s work that’s already been done, but because nobody can find it, everyone at the office has to work on projects from scratch. You can do a little detective work and look for items that are hidden, named incorrectly, or aren’t tagged with the proper keywords, then reorganize materials in a way that’s logical and easy to find. It’s a skill that you may already have or one that you can develop further, that is unique and will make a tremendous difference in working efficiently, quickly, and in a more productive way.